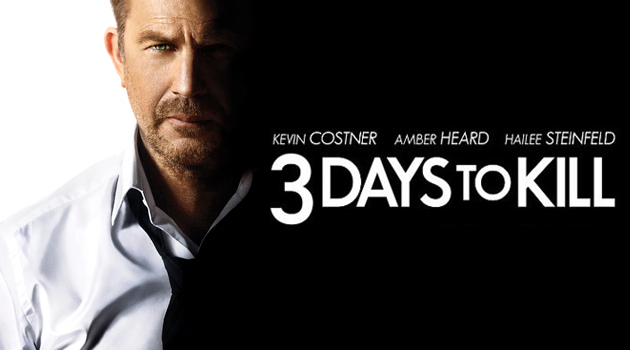 3 Days to Kill is Two Hours of Kevin Costner Acting Ridiculous: Should You See It? In our rarely-running kinda-series Should You See It? we talk about movies that just came out. You can figure out the rest of the premise from the title of the series. That’s right: We talk recipes. Should you see 3 Days to Kill? You can tell he’s a bad guy, as he has no hair or eyebrows. Ethan has The Albino dead to rights and then he suddenly starts coughing and bleeding from the nose. End scene, and the next time we see Ethan he is told that he only has a few months to live due to a terminal illness. This leads Kevin to retire from the business and go to his family, a wife and daughter in Paris, to reconnect, as he has been a vacant father and husband for a few years. He goes to his separate home and comes to find a full African family squatting in his place. They have redecorated and rearranged everything, and he reacts about as crotchety as you would expect old Kevin Costner to react. He chooses not to murder the whole lot — there are more than a few children and a pregnant girl — and we see the grinch in him slightly melt. He chooses to make amends with his final months but gets a new lease on life when a CIA operative Vivi Delay (played by Amber Heard), asks him to help kill quite a few people (namely The Albino and The Wolf) in exchange for an experimental drug that will keep him alive, 50,000 dollars, and a million-dollar life insurance policy. The twist is, of course, that there are side effects to the experimental drug that keep rearing their ugly head at the worst times for Ethan. There are the requisite awkward family reunions that take place with Ethan trying to pick up as if his daughter hasn’t aged a bit and their worlds collide fittingly. That is actually what the whole movie feels like, multiple worlds slamming into one another and never quite aligning properly. This movie is all over the place and it is definitely a bad film. The thing is, the movie is so scatterbrained that it comes off as aggressively fun as opposed to just hours of wasted time. The violence is graphic but never really that excessive. The daughter-father story is brown-sugar sweet, yet I found myself chuckling at the ridiculousness of their interactions more than anything else. The bad guys are named The ALBINO and The WOLF, the former being a creepy lunatic and the latter being anything but a wolf. Vivi Delay is supposedly equal in skill to Ethan, but for the life of me it felt like a showcase of how much sexier Vivi looks than everything else in Paris. Also, smoldering seriousness is a must. This is a bad movie. Kevin Costner places this corpse of a script on his back and carries the whole thing. Without him this movie would be worth walking out of in the first 15 minutes, but there is something about Costner in this film where I actually felt like he thought the whole thing was as ridiculous as it actually is and just ran with it. 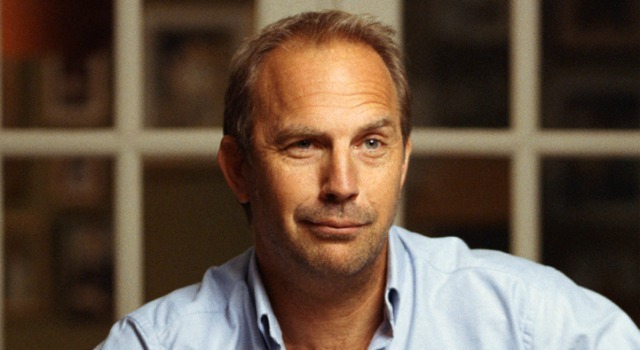 There are so many moments in this film that left me saying “Well, that is not what I expected from Hollywood.” Costner takes it in stride and constantly makes this face… and I love him for it. I have no idea what’s happening either, folks. Should You See It? Yes, if you are not a film snob, this movie was bad but quite fun. It takes the Taken premise but removes most of the stress from the plot and replaces it with quirky scenes.